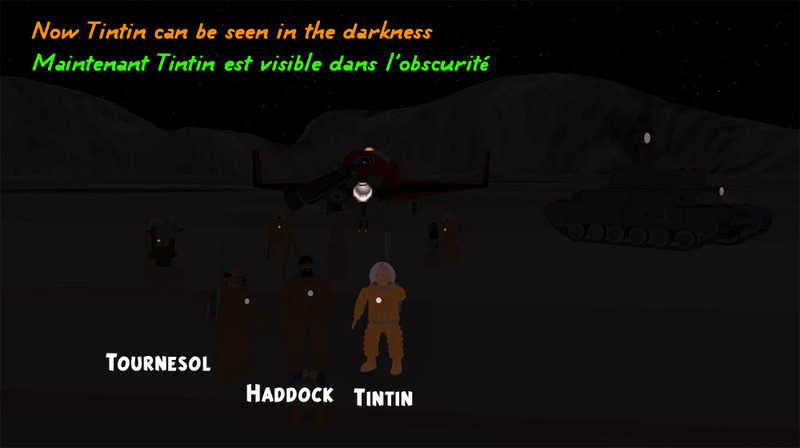 Update Patch for "Tintin sur la Lune " (Tintin on the Moon). 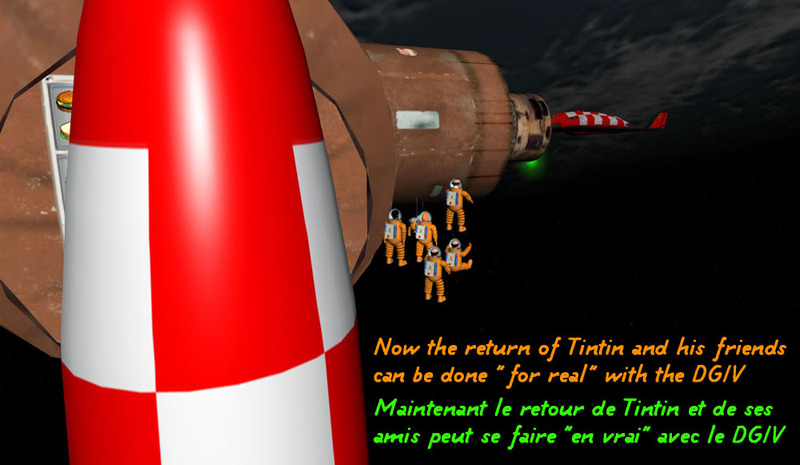 This patch will update the addon "Tintin sur la Lune " (Tintin on the Moon). 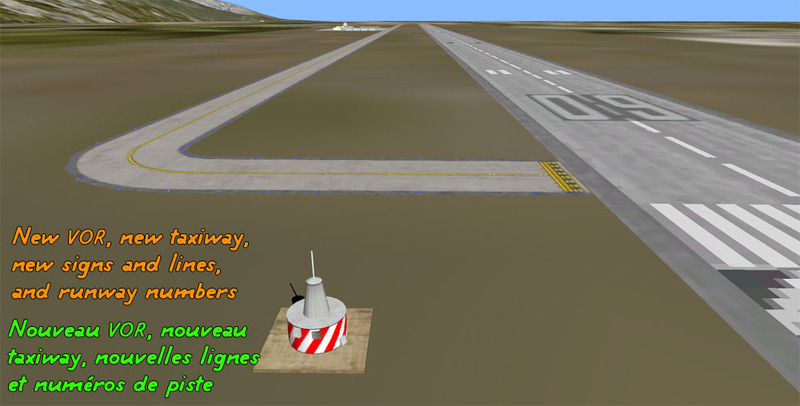 Of course you need to install this addon before ! 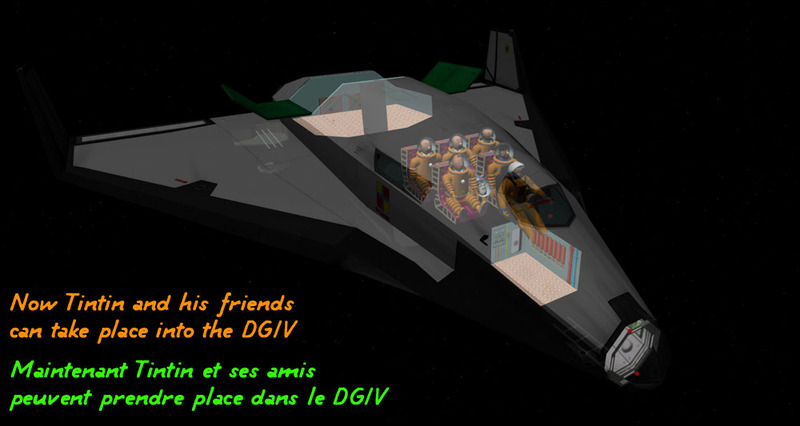 (logical!). 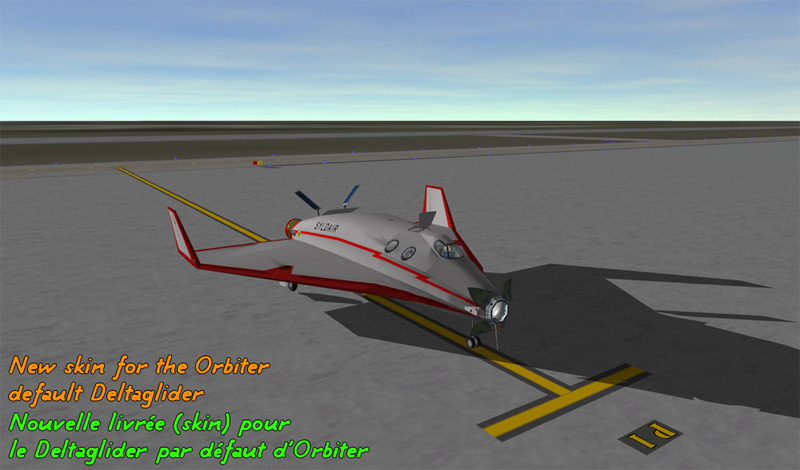 Simply unzip the zip-file in the root folder of your Orbiter. 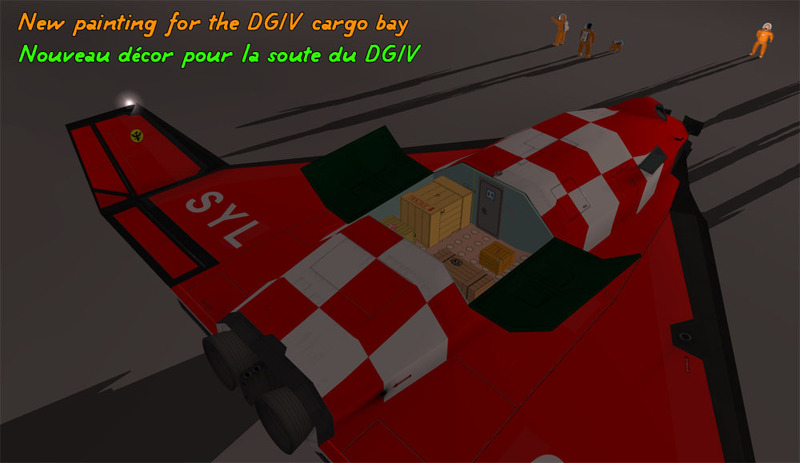 as well as 4 new "related Docs". 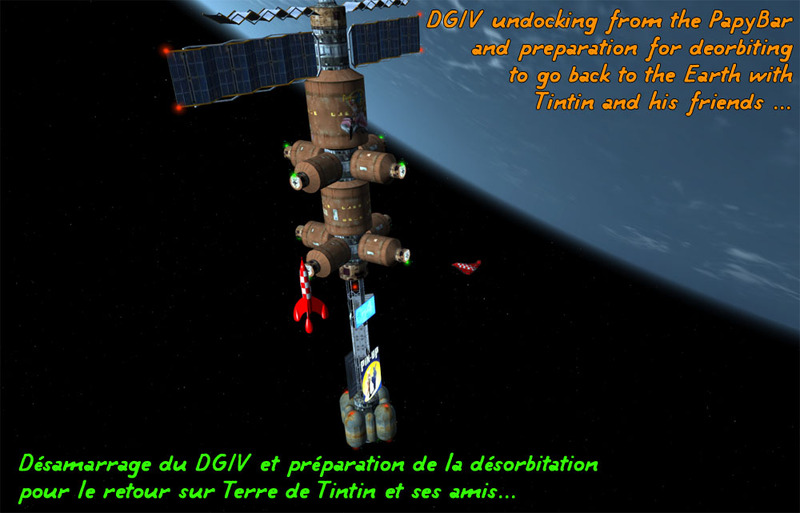 Now you can board "for real" Tintin and his friends into the Dansteph's DGIV for the return to the Earth !!! • The Moon Tank was not moving with sound : fixed ...! 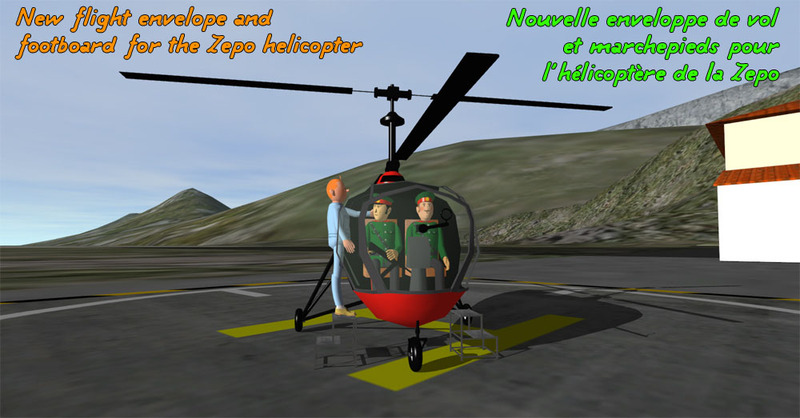 • Fixed a defect with the Tintin's head, and he is now apparent in the dark. 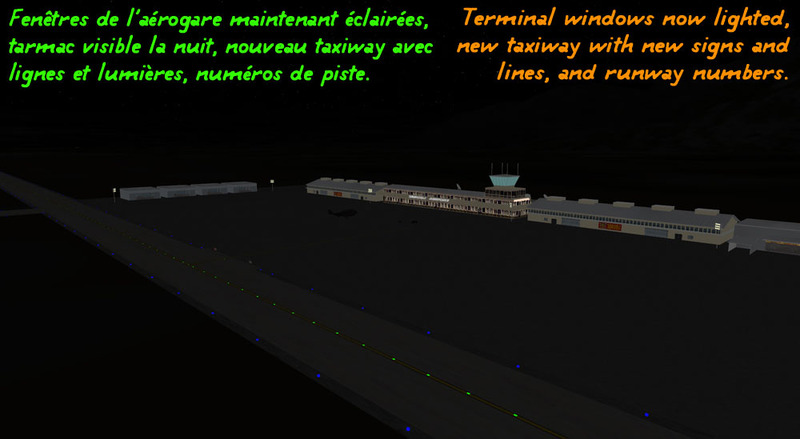 (New VOR, the main building has its windows lighted at night, the airport tarmac is now "visible" at night and has some trafic lines, the taxiway is new, and runway numbers and taxiways / runways signs added).